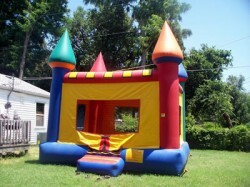 This C4 combo bouncy castle brings an air of majesty and imagination to any event. With a pair of regal blue and red towers and sunny-colored walls, this bouncy castle is sure to attract little princes and princesses for hours on end! 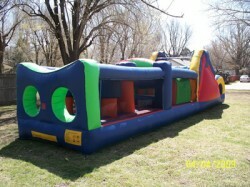 This sporty bounce house combo offers up to four different activities for your birthday boy. 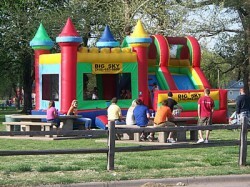 This castle has a large interior jumping area and a basketball hoop and 10ft slide keeping them happy and entertained. No need to worry about what’s going inside the high visibility mesh allows spectators to keep an eye on participants. This licensed Disney Princess combo jumper brings the fairy-tale to life with digital printing fit for any princess or festivity. Approaching participants are greeted by Cinderella, Snow White, Sleeping Beauty, Belle, Jasmine and Ariel for enchanting fun and imaginative play! Ideal for any girly party or event, participants can ride a dry or wet slide or practice their royal proclamations inside this entertaining jumper! 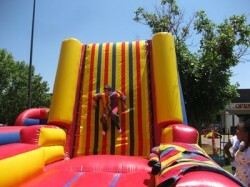 Out of over 60 different inflatables at Big Sky the Pink Castle with a Slide is the MOST popular! If your little girl is having a birthday party this one is sure to please. 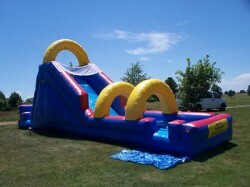 It offers a 13×13 bounce area with a basketball goal inside and a gradual 6 foot slide going off one of the sides. Perfect for ages 3-8. 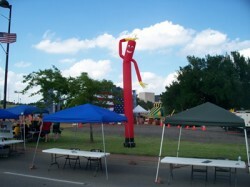 Your little guy will love this inflatable for his birthday! 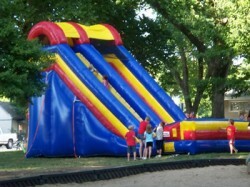 It offers a 13×13 bounce area with a basketball goal inside AND a gradual 6 foot slide going off one of the sides. Perfect for ages 3-8.